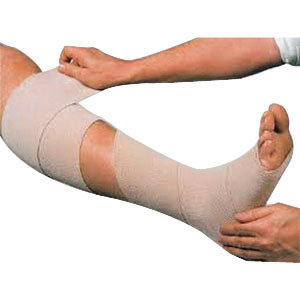 Short Stretch Bandage with high compressive power and durable elasticity for strong compression of the extremities. The firm-grip fabric texture ensures the bandage layers hold securely. Bandage is latex-free. Clip elastic contains latex.